I'm loving all the red white and blue that retailers have right now for the Fourth of July. 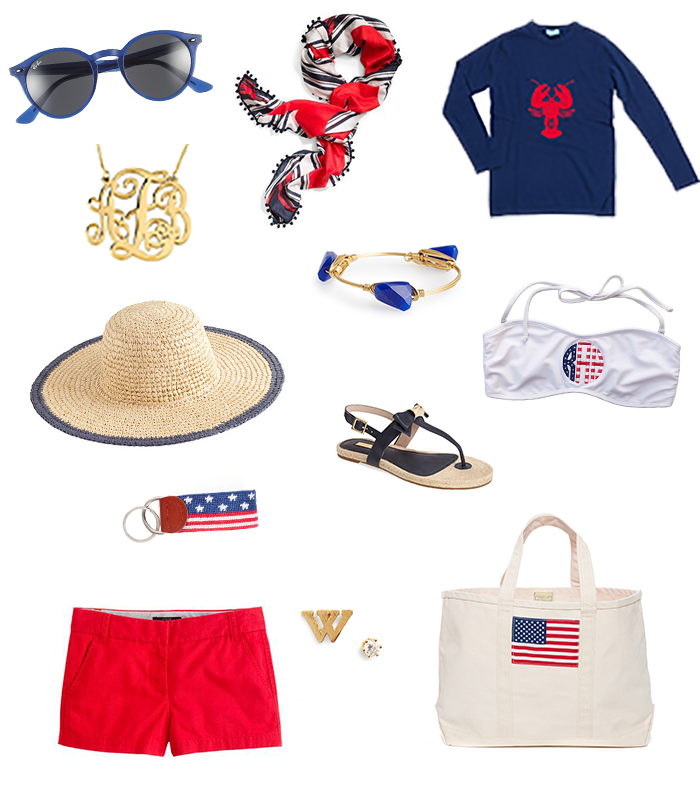 I can't wait until my clothes are actually all in one closet and I can add some of these gorgeous navy & red pieces! The movers are coming today to pack up all our stuff, so my outfit choices will be really limited for a while. Maybe that will give me the perfect excuse to pick up some stuff for the Fourth of July! We will actually get into Boston on the Fourth, but I don't think it will be early enough to enjoy any of the festivals that will be going on. I'm hoping we can grab a good dinner - maybe a little lobster roll? - and enjoy the fireworks. What are y'alls plans for the holiday weekend?